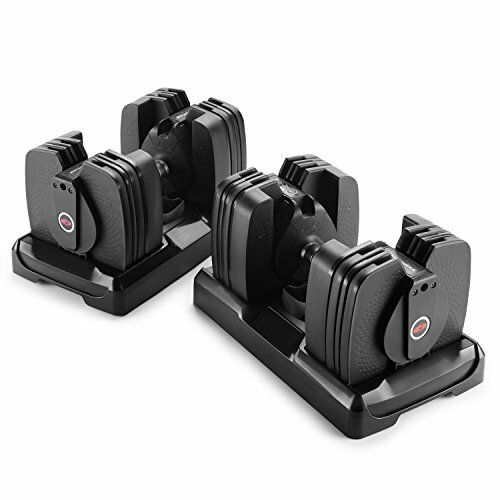 The Bowflex® SelectTech® 560 Dumbbells replace an entire rack of weights in a compact design that fits into the corner of any room. The 560 Dumbbells with integrated Bluetooth® technology takes the guesswork out of strength training. Track and record sets, reps and weight with the Three Dimensional Training (3DT) App and tap into the advanced video coaching to ensure perfect form every time. Each dumbbell adjusts from 10 lbs. to 60 lbs.